MongoDB run remotely, in this example, MongoDB run on 10.66.218.46, with database mydb. A Virtual Database (VDB) is an artifact that defines the logical schema model combining one or more physical data sources to provide easy data integration. 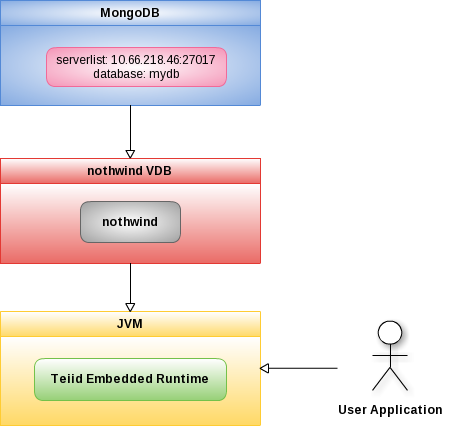 In this example, nothwind VDB has Model northwind point to MongoDB database mydb.